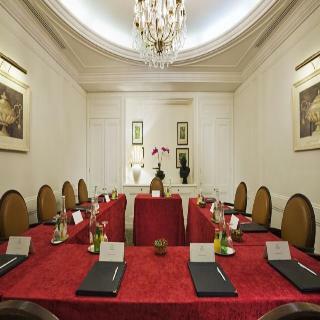 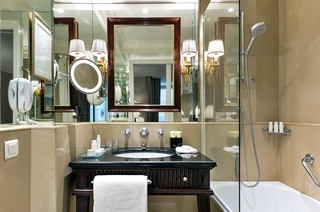 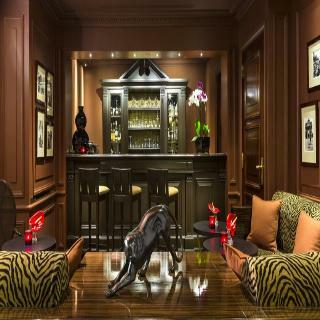 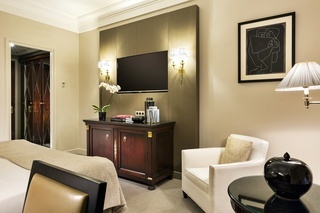 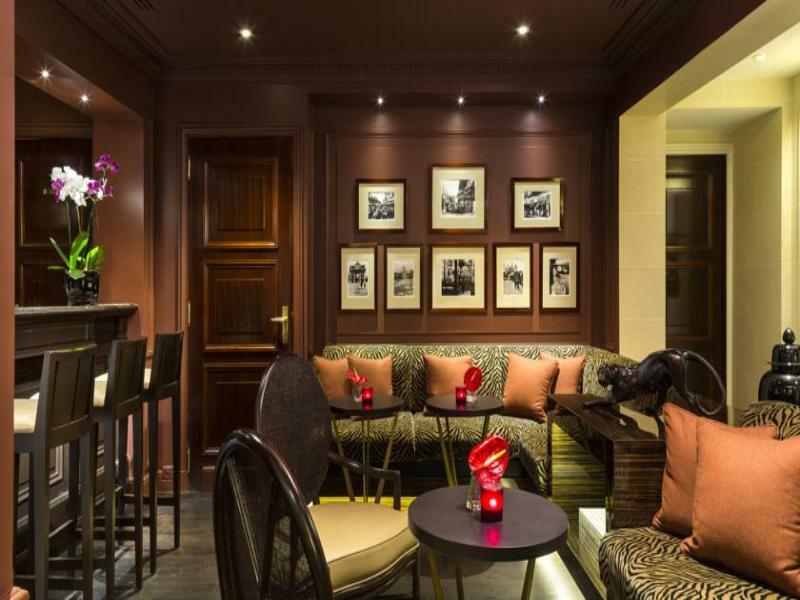 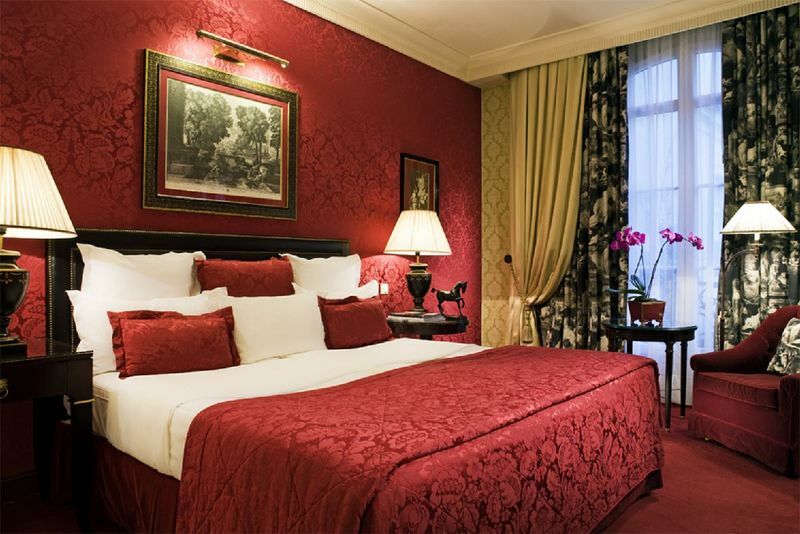 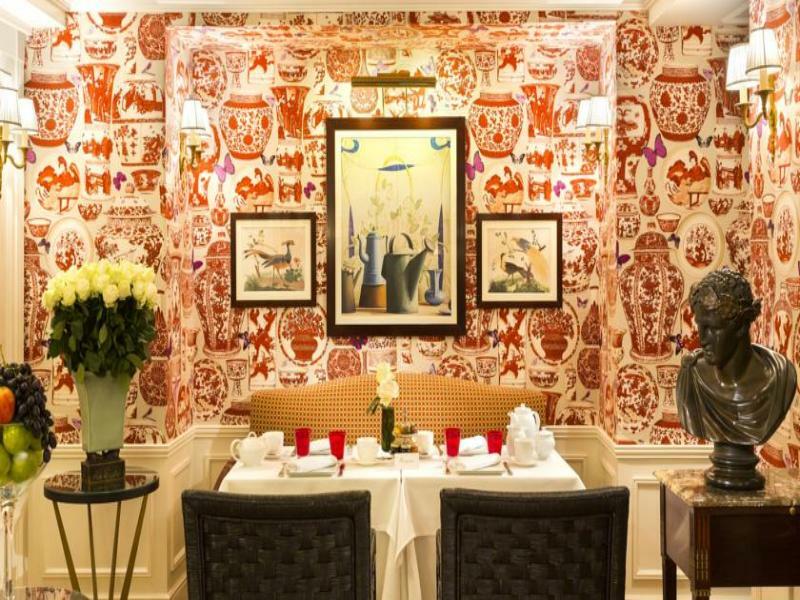 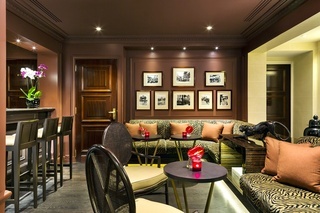 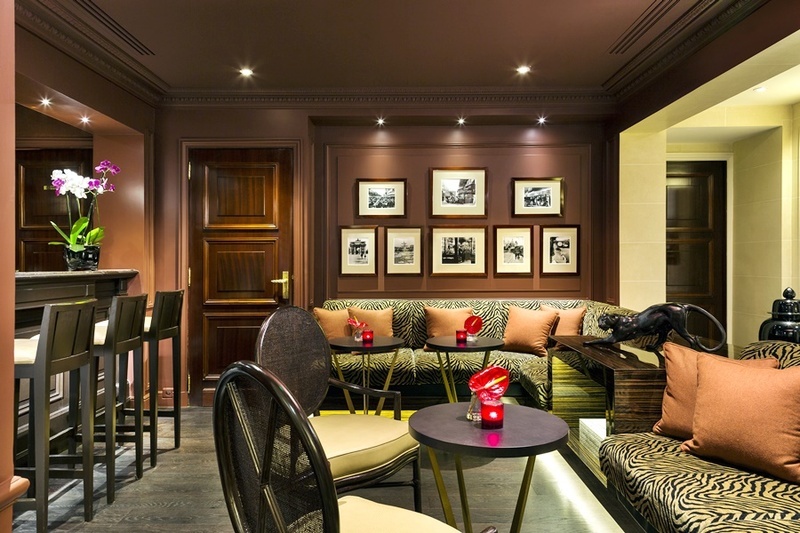 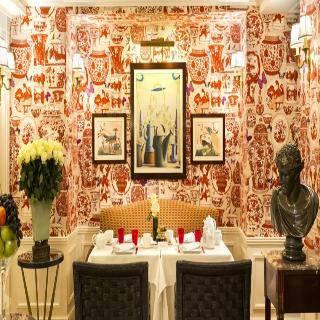 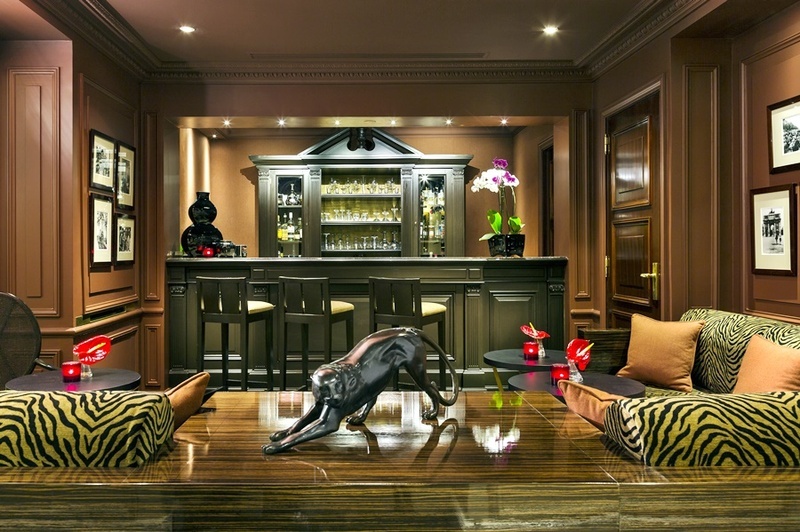 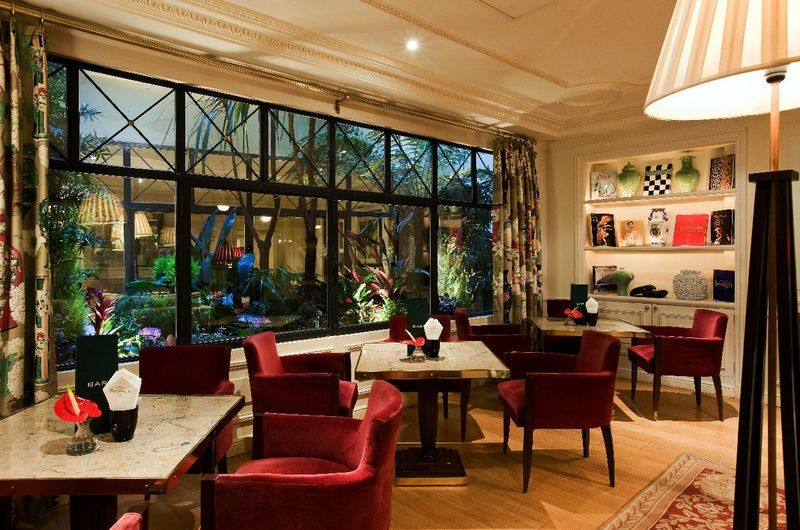 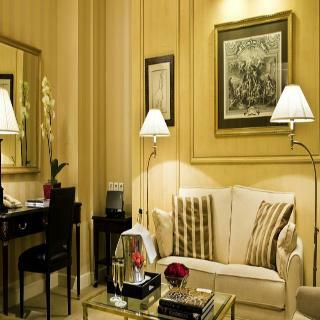 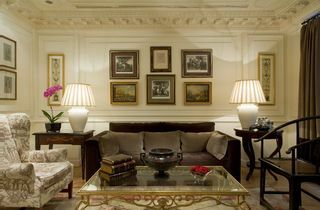 This hotel is tucked away in a charming side street off the Champs-Elysées, less than 3 minutes' walking distance from Arc de Triomphe and just steps away from the Avenue Montaigne, home of the world's most famous fashion houses (Chanel, Christian Dior, Ferragamo...) as well as restaurants, theatres and cinemas. 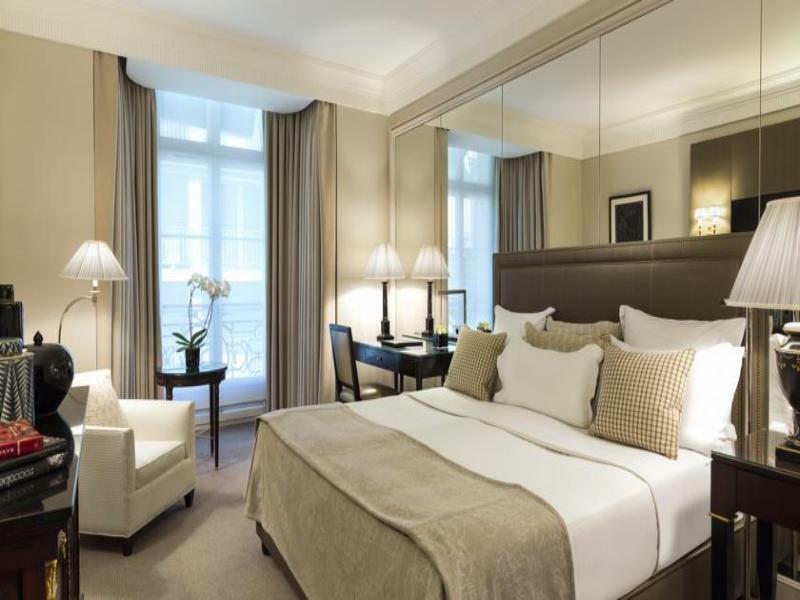 It is only 10 minutes on foot from the Eiffel Tower. St Lazare station is around 3 km from the hotel and the nearest metro station is Georges V, a mere 100 m away. 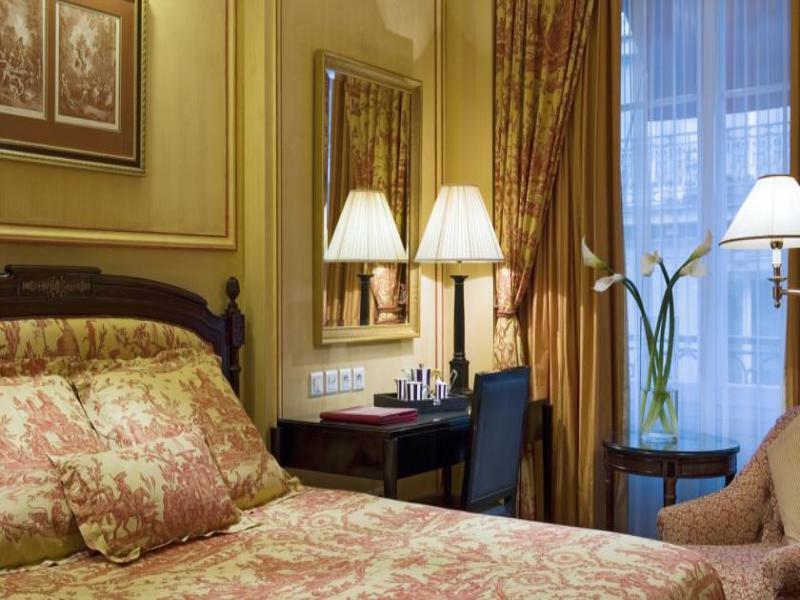 Orly Airport is around 20 km away and it is some 30 km to Charles de Gaulle Airport. 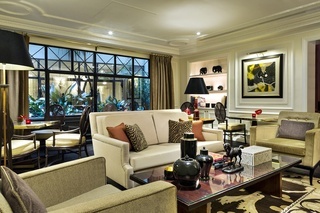 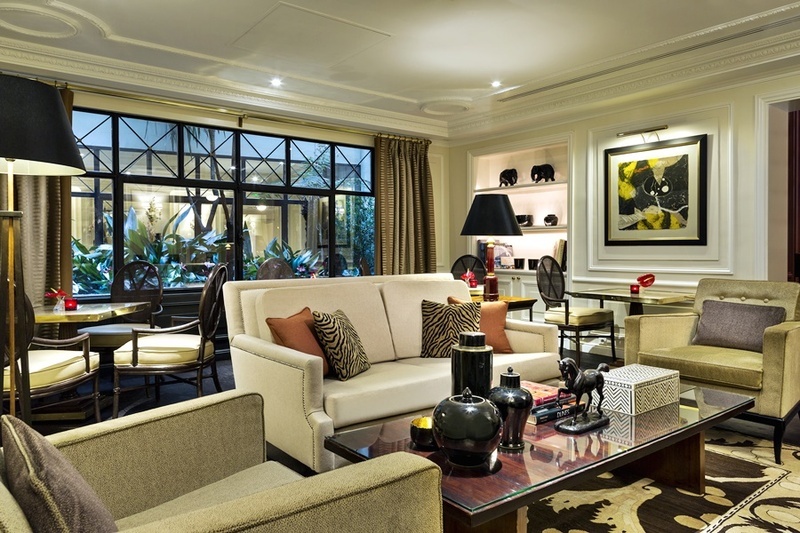 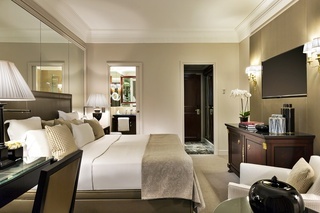 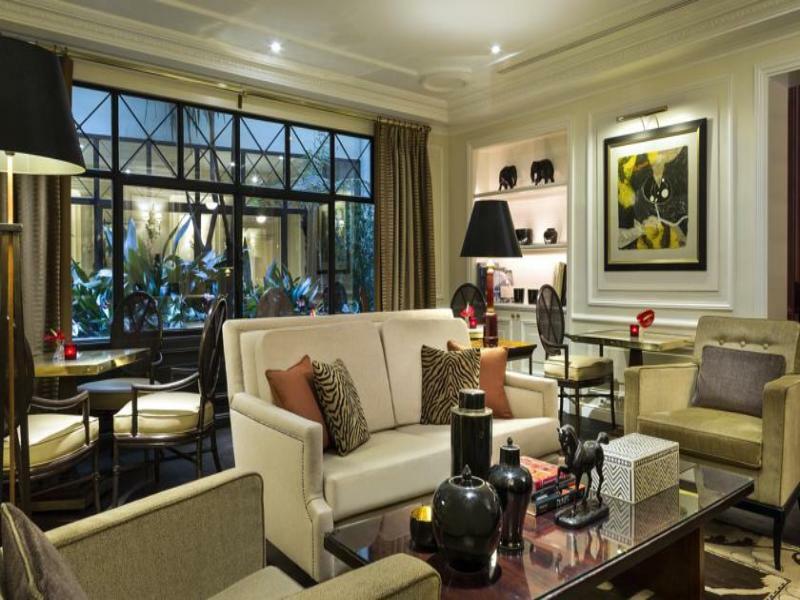 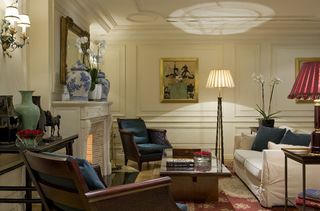 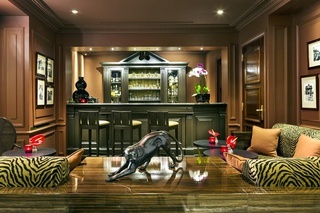 This chic oasis is appropriately set in an intimate and stylish retreat just steps away from Avenue Montaigne. 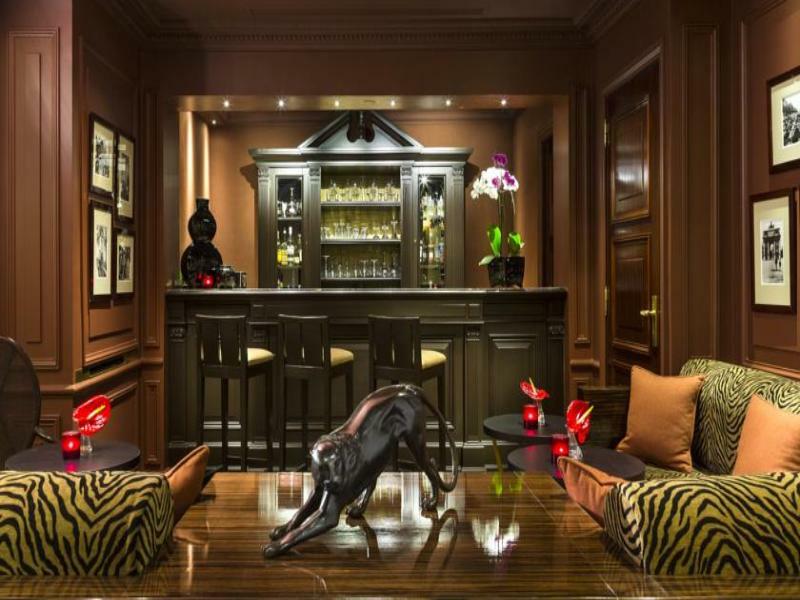 It has been recently renovated, and - from the glistening marble lobby to the sumptuous lounges - this boutique hotel evokes a sense of refinement, elegance, comfort and, above all, luxury. 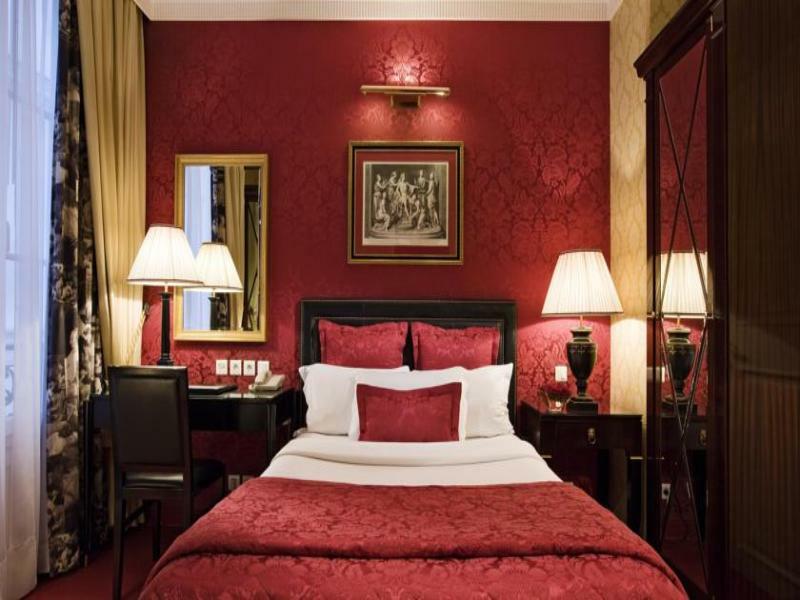 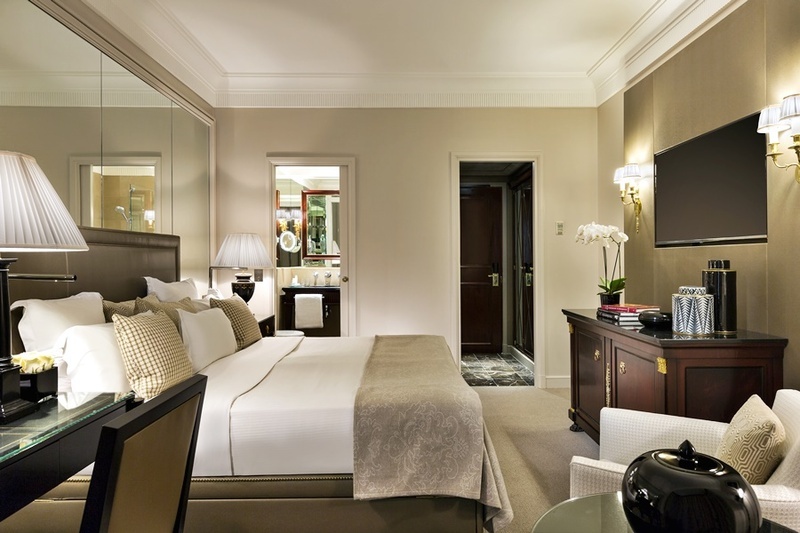 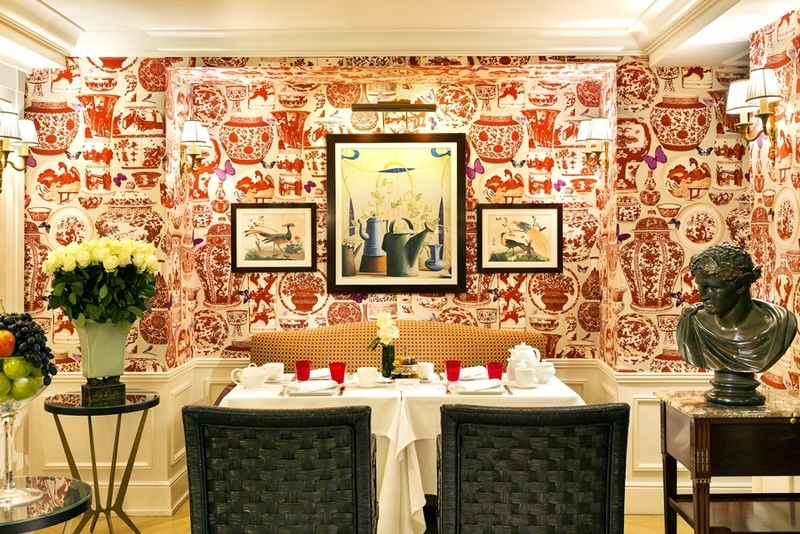 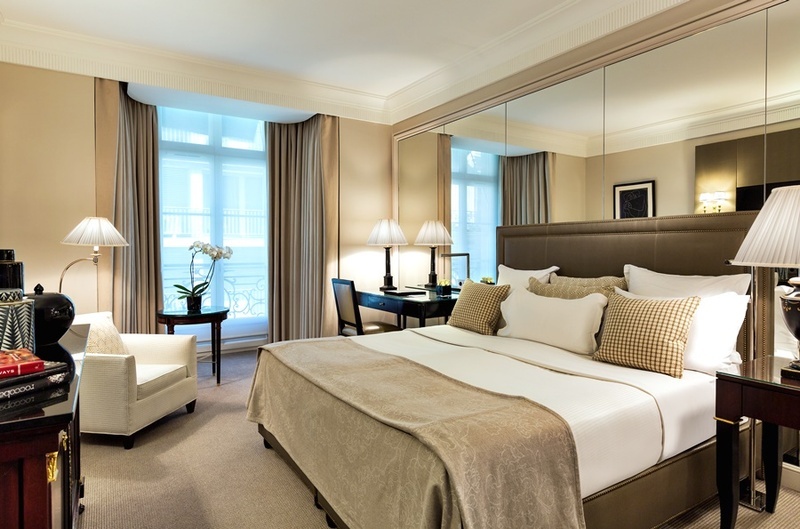 The guestrooms are extremely well-appointed with Parisian flair, between modern and renaissance style, under the artistic direction of Pierre-Yves Rochon. 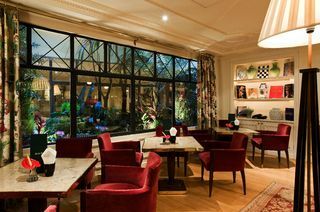 The hotel's bar offers an elegant conservatory and the restaurant and the meeting rooms are all equally inviting, with a relaxed, friendly atmosphere, reflected in a lovely afternoon tea service. 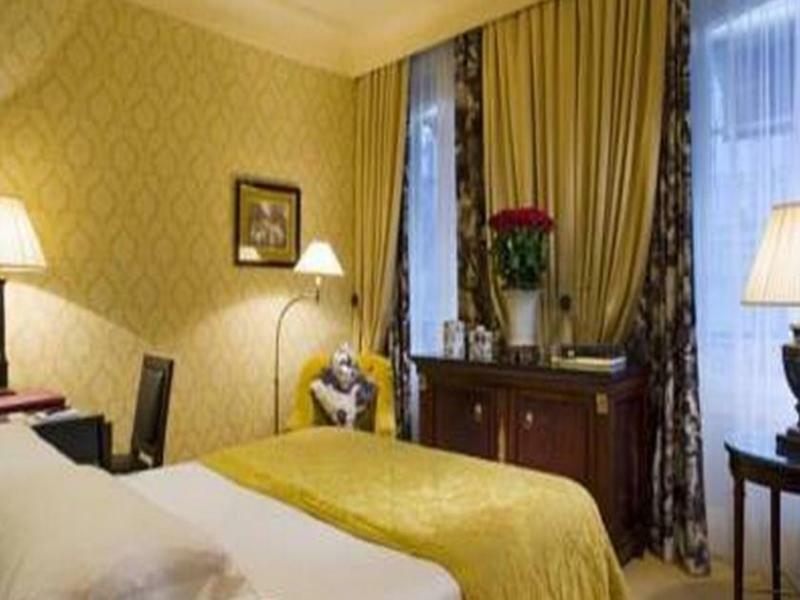 This establishment comprises a total of 40 rooms and the facilities on offer to guests include air conditioning, a lobby area with a 24-hour reception area, a hotel safe, a currency exchange facility, a lift, a breakfast room and Internet access. 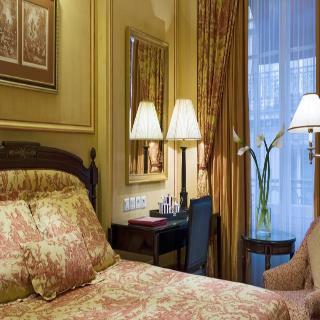 Guests may also take advantage of the room and laundry services. 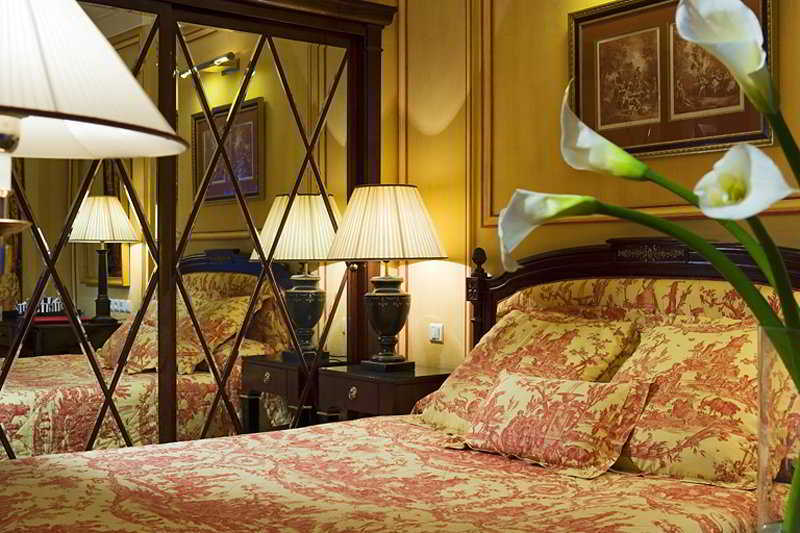 Guests may relax with a massage treatment. 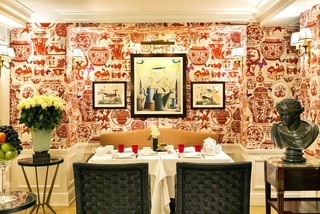 Guests may select their breakfast from a continental breakfast buffet.